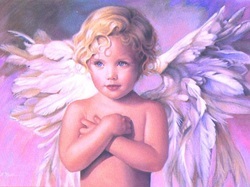 The word ‘Angels’ is derived from the Greek word “Angelos” meaning “messenger”. Angels are said to be the Messengers of God. Different religious faiths refer to them by different names. They are highly spiritual beings. 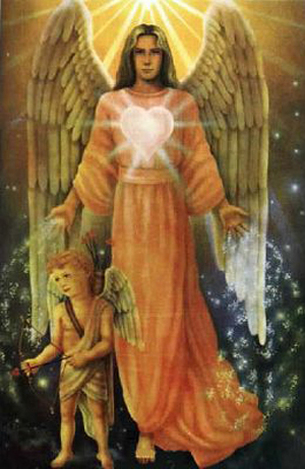 Angels resonate at a very high frequency and are predominantly beings of pure, unconditional love. There are millions of Angels having different roles to play. One of their prime tasks is to ensure that we humans are on our life-path and to assist us in every way in times of our need. Since the beginning of time, the angels have brought messages to humans. 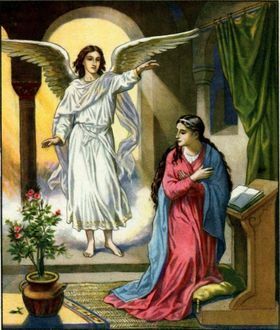 It was Archangel Gabriel who told Virgin Mary that she was going to have a baby, and that the child was the Son of God. In Indian Mythology, angels are known as Devatas, Apsaras, Gandharvas and other such names based on their hierarchy. There are adequate mentions of various devatas and other demi-gods coming to the human realm with messages from God in Indian mythology. For a very long time, the human consciousness had remained locked in a dungeon of darkness and remained there. All knowledge of these beings of love was lost. Therefore, for centuries the angels helplessly looked on as the human race groped around. They waited patiently until the psyche of the collective human consciousness evolved. One day sometime in the 1980’s there was some mention of the angels. From then on their popularity grew on golden wings. In a quiet, mysterious way, they made their presence felt once again. They started reminding humanity of their origin and their true divine nature. More and more people started connecting to these divine beings. The more perceptive of us even had visions of these beings and soon there were pictures and images available to describe these divine beings. Today Angels, Archangels, Guardian Angels and many others from the Angelic realm are one of the greatest forces that aid in the 'Great Shift' in human consciousness. Invite the angels into your life, and see the transformations and blessings these Celestial beings bring to you. You can ask these beautiful beings of light to help and guide you, whenever you are in need. The Angels act as messengers. But they will always wait for you to call upon them, before they manifest into your daily lives. There is no magic formula; all you need to do is ask! The term ‘Angels’ is only a generic one that encompass a whole bunch of heavenly beings. According to the tradition there are several orders of Angelic Beings (also known as Choirs of Angels). This classification was first talked about in a sixth century book by Dionysus the Areopagite, a disciple of St. Paul. Of particular interest to us, off this entire set, are the Archangels and Angels. The Archangels are said to be the warriors of God’s army. Their purpose is to battle various types of negative and evil forces that afflict mankind. The Angels are the constant companions to humans. They watch over us individually and guide us on the path we travel. 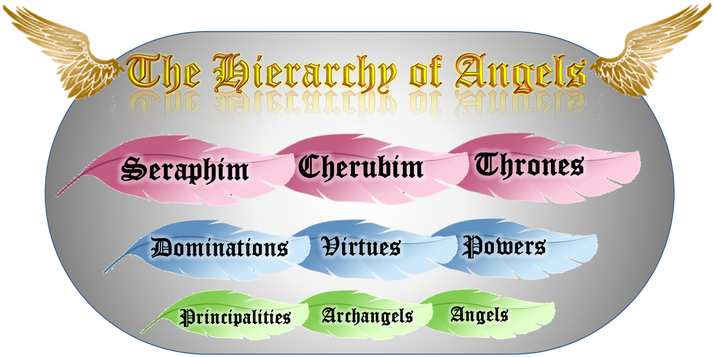 Traditionally there are said to be seven archangels – Michael, Gabriel, Raphael, Jophiel, Chamuel, Uriel and Raguel. However, in recent times many psychics have come into contact with many more archangels who have come to help humanity especially in this phase of transition and transformation. 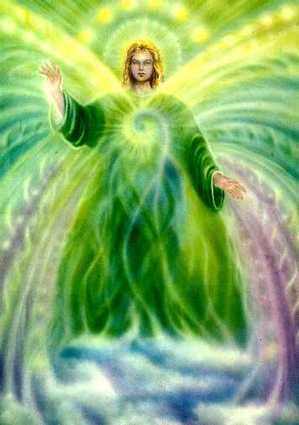 The Archangels are considered very powerful warriors and are always ready to help humans. These beings can be present at multiple places at the same time. In charge of protection, courage, strength, truth and integrity. He works at destroying ‘fear’ from the surface of earth. Call on Michael to get rid of any form of negativity that is affecting you. Gabriel helps you take action that will yield beneficial results. Helps one to have a sense of direction in life. Helps people whose life involves arts and communication. Especially heeds to the call of women in despair. The Healer and assists all forms of healing. Very light-hearted, loving, kind and gentle. Patron of Travelers – call on Raphael to ensure a safe and successful journey. Patron of Healers and assists healers to heal themselves and others. Provides intellectual information, practical solutions and creative insights. Helps cope with Natural disasters like floods and earthquakes. Helps find the love of your life, renews relationships, find soul mates. Helps strengthen Parent-Child relationship as well. Fills the depressed heart with love and hope. Helps one with artistic thinking, decorative ideas. Helps appreciate beauty in others, in nature. Brings beauty into the life of one who has lost the light in life. Defends the unfairly treated, mediates disputes, brings harmony. Oracle Cards are divination cards. They are a highly charged and potent set of cards that have the ability to bring the energies of the angels and other celestial beings. Hence, they are used as a medium to receive answers from the angelic realm about a particular life situation. The answers that one would receive from the oracle cards are those of hope and positivity. 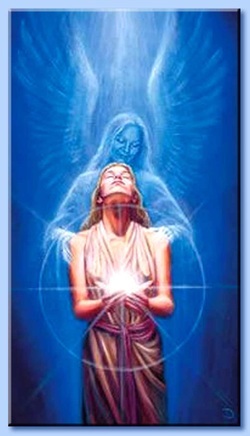 The angels are extremely positive beings of light and they help bring our focus on the brighter side of a situation. At Violet Hues, the oracle cards have provided great insight and guidance to many seekers. 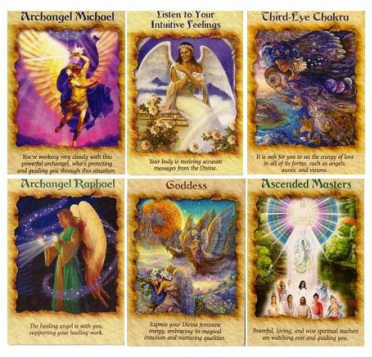 We consider these cards an authentic and tangible medium to connect to the angelic realm. Channeling is a form of communication between the human realm and other realms. There are realms higher than the human realm (i.e. angelic/celestial realm); and there are realms lower than the human realm (i.e. animal, plant and crystal realms). A channel is like a translator or interpreter, merely allowing the communication to come through and putting it across in human words. A channel can choose who he would like to communicate with, and if the other being is also equally willing, the link is established. 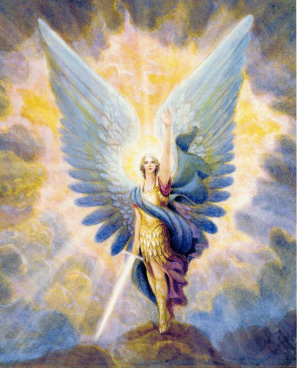 For instance many people channel Archangel Michael. If he agrees to communicate with the channel, the channel is aware of what Michael is trying to say in the form of a ‘knowing’. The knowledge can even be channeled through a string of images or sensory feelings. It is then up to the channel to communicate it through the use of the human language. These beings do not usually use the human language to communicate because it is considered inadequate and awkward! People also use this technique to communicate with their pets and plants. Obviously animals and plants do not use the human language, but they are very aware of our feelings. Therefore, the simplest way to channel your pets/plants is to connect to them and allow yourself to ‘feel’ what they are saying. One probably would have to give up the need to use words. Allow the link to get established by means of a sense of knowing. It might also help to use allow images to come and go forth from your mind. For instance, if you would like your mischievous dog to calm down, hold the image of your dog sitting quiet and behaving well in your mind. Allow this feeling/image to go across to him. Simultaneously, allow his side of the communication also to come forth to you. Thereby, both of you would have communicated what you want. At Violet Hues, we use this technique extensively. We help seekers to connect to their divine guides and spiritual masters and seek guidance. Everybody has the capacity to channel information from other realms. It is just that we have not engaged in it for a very long time and might have gotten a little rusty. In some rare cases where the seeker feels that he is not able to receive any communication from the Celestial Realms, we ourselves volunteer to channel the guidance that they seek. If you would like to connect to the divine realms and channel your angels, spirit guides or guardian angels, do Contact Us.